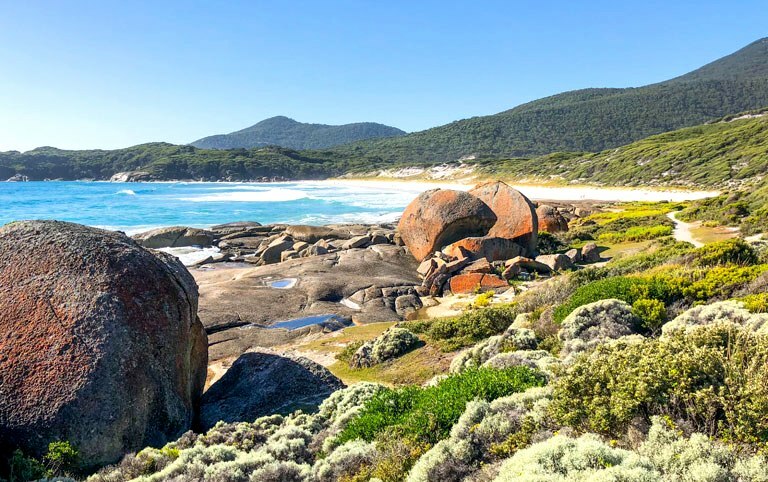 Join us to explore one of Australia's most outstanding National Parks, Wilsons Promontory. "The Prom", so called by its many admirers, is the most southerly point of mainland Australia. The park encompasses magnificent coastal and mountain scenery. Over 700 species of native plants exist, providing a perfect habitat for the prolific wildlife. Kangaroos, koalas and wombats are just a few of the many native inhabitants. Emus, rosellas, kookaburras and cockatoos can be seen almost everywhere. The only way to experience the Prom is on foot. Our walk highlights some of the park's most beautiful areas. We pass through a variety of vegetation from bush to luxuriant, moist fern gullies. These harbour magnificent white sandy beaches, washed by spectacular rolling surf. On our first day we stop near Phillip Island and discover the newly established George Bass Coastal Walk near Kilkunda. 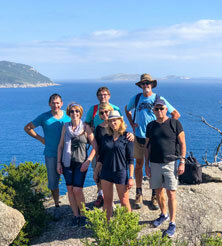 Our second day is spent at Wilson's Prom NP where we walk to Pillar Point, Squeaky Beach, Picnic Beach and Lilly Pilly Gully. Day 3 we discover the secluded Cape Liptrap Coastal Park not far from where we are staying. Day 4 we venture back into The Prom and walk out to spectacular Tongue Point. On our final day we have a leisurely start before driving to Lyre Bird Hill Winery for our final celebratory lunch. 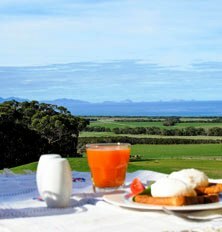 The countryside surrounding Wilsons promontory is home to rich farmlands which produce Australia's best dairy products, fine meats, poultry and crisp vegetables. The area is also noted for several excellent vineyards and a boutique brewery. 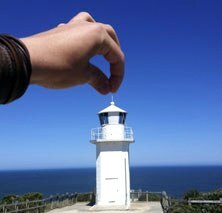 Our accommodation is in a delightful Guesthouse overlooking Wilsons Promontory with sweeping views of Waratah Bay just a few km's away. In the evening relax on the terrace as we watch the sun set over this magnificent vista and enjoy a delicious 3-course dinner prepared by our hosts. 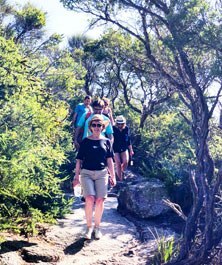 Departure dates have been arranged to allow both the "Explore Wilson’s Promontory" and "The Grampians & Great Ocean Coastal Trail" walks to be combined. A wonderful and carefully planned tour through magnificent scenery with fabulous view. The weather was perfect for walking, not too hot and without the rain depressingly predicted by the BOM! The delightful cottage accommodation was 'home' after a day walking, and to freshen up, then enjoy drinks with a view of the beach, before sitting down to a delicious dinner was such a pleasure. A bonus was the koala family in the trees, though if disturbed, he became quite vociferous! Thank you, Graeme, for looking after us so well and sharing your knowledge of this very beautiful part of Australia." 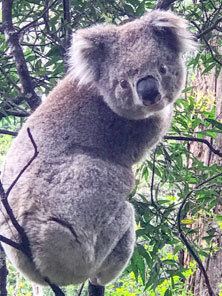 Beautiful cottages with koalas in the trees, wombats wobbling past and kookaburras stealing the delicious predinner cheese and canapés while sipping champagne overlooking the beach. Healthy, delicious food, well thought out walks, travel times, exceptional scenery. Graeme is an excellent guide, I have already recommended the walk to friends and family." I had been to Wilsons Promontory once before but seeing it from different vantage points made the world of difference. This was Graeme's back yard growing up so his intimate knowledge of the region means he can share the secrets and stories most people miss. We were blessed with perfect weather and so the colour of the water was magical. Where else in the world can you walk along such pristine beaches and mountain tracks and barely meet another human being? The accommodation and food just has to be experienced so I won't even begin. A very special tour." A wonderful introduction to the Prom and associated region. Graeme's knowledge and passion for this area was evident throughout and it made our experience highly memorable. A wonderful adventure made all the more so by Graeme's attention to detail with a laid-back approach that made us all feel like a member of a family. Fantastic!" Beautiful scenery. Accommodation and dinners very good. Last day Tongue Point a tough walk, no shade for lunch." A wonderful few days walking along the coast on Wilsons Prom. Great Accommodation, wonderful sightings of wildlife including a koala looping across open lawns in front of our cottage, an emu that was not fased by the van coming up beside it and birds that were identified by those who knew. All meals were impressive and how delightful it was to have in house dining at night after our ramblings. Thanks to Graeme for his constant vigilance for some who were not as fit as others. Wilsons Prom is a magical place. The coastline is beautiful and the wildlife was wonderful to see. Graeme was a great guide with local knowledge. The group were fantastic and our stay in Walkerville peaceful. The holiday was great for the soul. 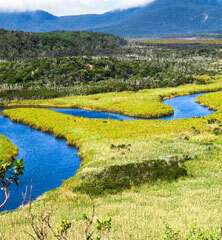 The Prom is undoubtedly one of the best places for bush walking in Australia. The walking tracks we explored ranged from smooth easy strolls to steady climbs and descents, but breathtaking scenery is all around you. Bass Strait was in a benign mood and we experienced beautiful sunny days, blue skies, calm seas and crystal clear water around the granite coastline, framed by rugged headlands, with massive boulders strewn in between. Squeaky Beach is pristine and many of the nearby beaches and coves are largely uninhabited. We encountered squally rain on our walk from Darby Saddle to Sparkes and Lookout Rocks but the temperature was mild and the windblown mist added another dimension to the overall experience. A great place to wind down and immerse yourself in nature and good company. Highly recommended. Thanks for a fabulous and well-managed tour of Wilson's Prom and surrounds, Graeme. Spectacular views, varied walks, refreshing swims on hot days, good company and plenty of laughter. The Nordic and Swiss tours look pretty special - definitely earmarked for future consideration!